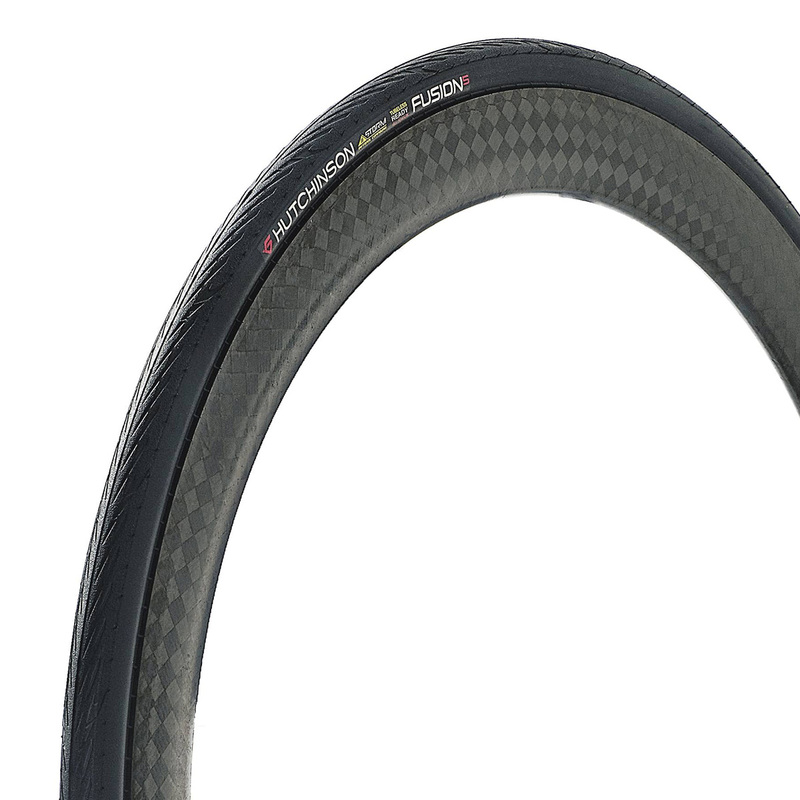 The Fusion 5 All Season is the perfect tyre for long intensive outings. Hutchinson have worked on a specific compound thickness of 1.6mm with a tailored particle size to favour durability and grip on wet roads. The Kevlar® reinforcement protects the casing from puncture risks. You will be able to blithely pass the 5000km mark with performance and comfort. If you opt for the 700x28 version, you will be blown away by the long-term softness and efficiency. Bought to replace a set of Marathon Supreme 35mm tubeless tyres, which I found to be rather heavy and sluggish  though robust and very comfortable. The Fusion 5's slipped onto my Alforce rims easily, but were tricky to seat  I had to seat both on one side using an inner tube first. They then seated perfectly with an Airshot and stayed airtight from the very start. Faultless and fast-feeling performance on their inaugural 210km ride in good weather with dry roads, though a little harsh (on crappy roads) at their recommended 100psi for my 71.5kg weight, so I'll try reducing the pressure a little. Just ordered my second pair of these tyres, in a word great. I've used tubeless road tyres from all the usual suspects and these are easy to set up, grippy, puncture resistant and roll really well. Used these to replace a pair of Hutchinson Sectors which we terrible in the wet, these are great. Super easy to fit with a track pump. Lots more confidence in on the slippery country lanes. Fitted to DT Swiss rims. Went on really easily with using thumbs only. Pumped up using a track pump. Feel good out on the road. These are the best Winter Tubeless Tyres on the market I think, Easy to mount & set up, very good traction and lightweight for the type of tyre. They come up as per size, 25mm is 25.5mm wide on a 17mm rim, 28mm is 28.5mm on an 18mm internal rim. Tires are nice and the price was right. Went on easy enough with the use of two levers. I was able to inflate them after adding the sealant with a floor pump. Just have 60 or so miles on them but will be doing a century ride in a tropical storm in a couple days. Will update on performance after.